Tonight my husband helped me sort the majority of my polishes into color families. He didn’t complain at all and asked on occasion what family a polish belonged to. His help reduced hours of labor for me. Because I had been looking at polishes for a couple hours I couldn’t decide on a color when it came time to paint my nails. My husband once again came to my rescue. He told me to wear purple so I blindly closed my eyes and brought out two polishes to wear from my purple drawer. 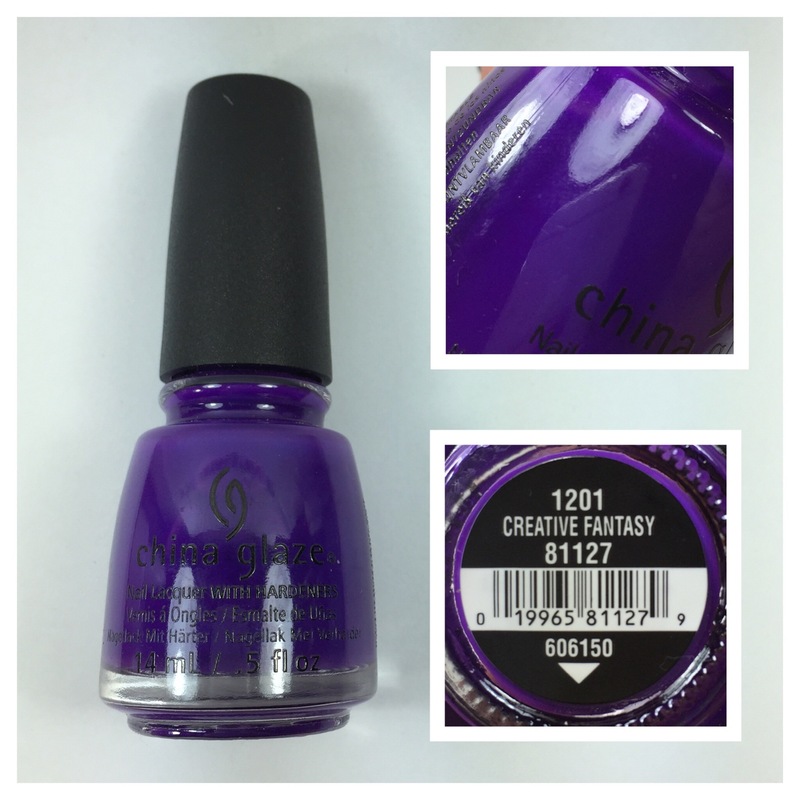 China Glaze Creative Fantasy is a deep purple with a jelly formula. Because it’s a jelly is probably why I haven’t worn this polish before. For the longest time jelly polishes frustrated me because I didn’t feel like they went on smooth. I understand them now so I appreciate them. It took two coats to be opaque on the nail and I didn’t have any issues with patchiness or pooling. 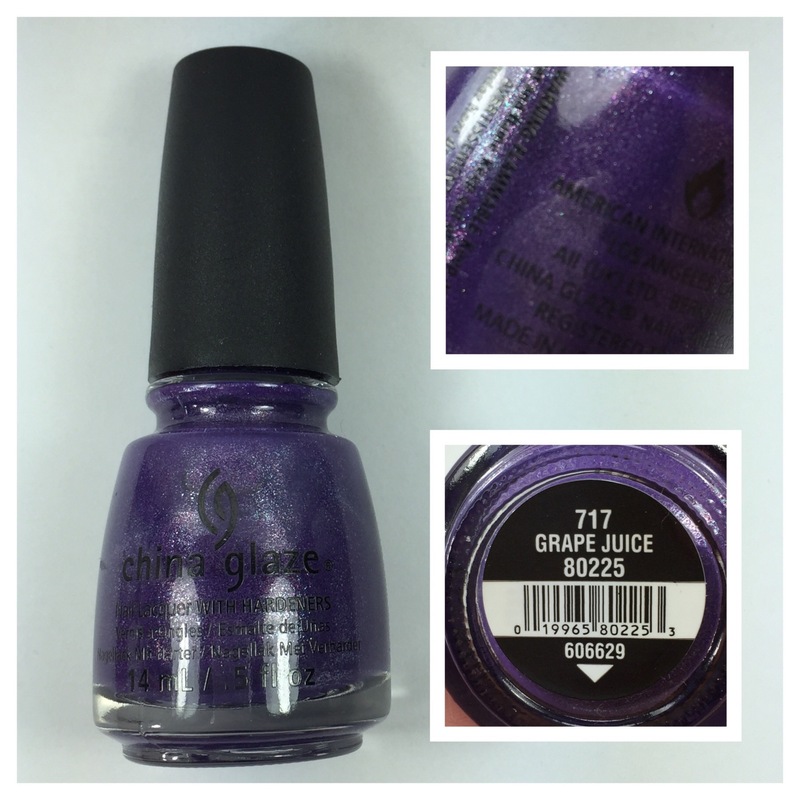 A little google research told me this polish came from the Cirque du Soleil Worlds Away collection in Fall/Winter 2012. This was a 12 polish collection and had creme, jelly, shimmer, glitter, neon and crelly finishes. It all those finishes it has something for everyone. I feel like I vaguely remember this collection but didn’t buy any of them at the time they were released. Creative Fantasy must have been purchased when it was on clearance or at the recommendation of a blogger or you-tuber. Either way it’s a nice polish to have. Since I now have my polishes sorted by color I will soon be able to see if I have any other polishes that are similar to it. China Glaze Grape Juice was used as my accent nail. 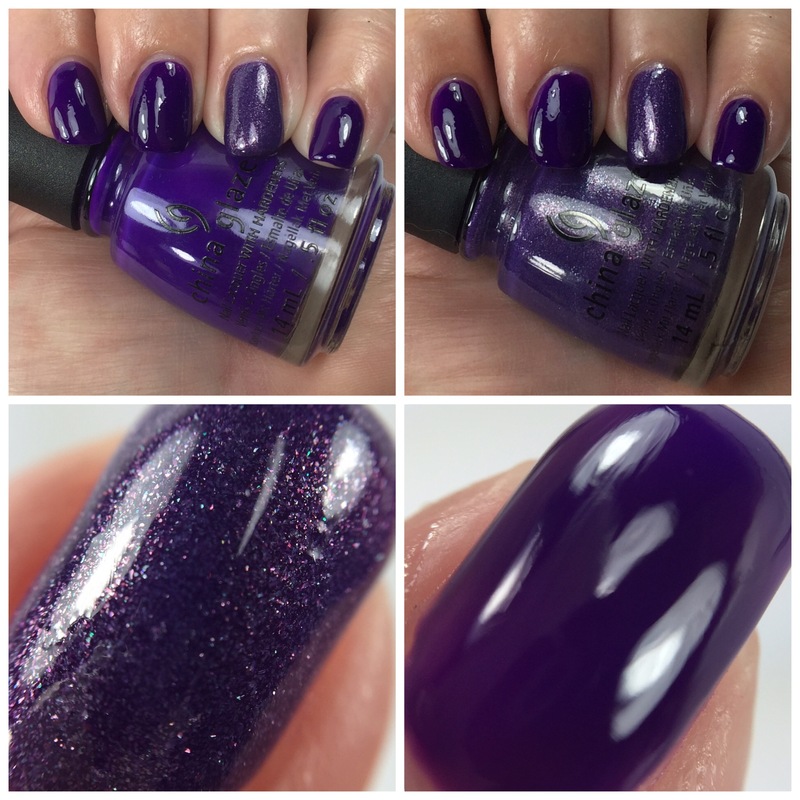 It’s a dark purple shimmer polish that came out in the Summer Days collection Summer 2009. It’s now apart of their core collection. For a micro shimmer this polish was a breeze to remove and left no shimmery residue around the nail like some can. Two coats and this polish is completely opaque. 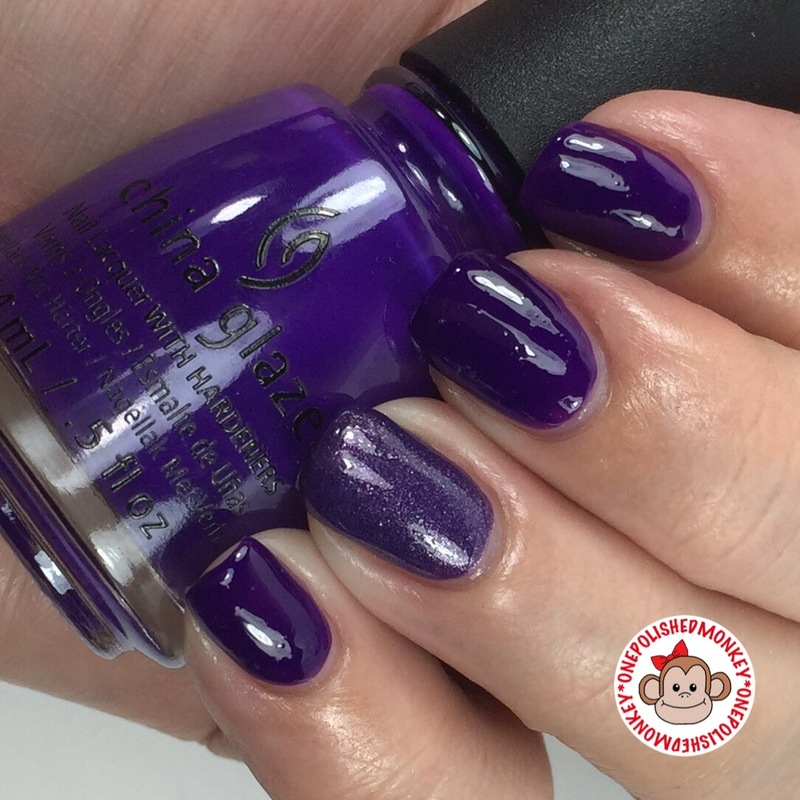 While I was researching when this polish was first released it appears that the formula may have been altered. 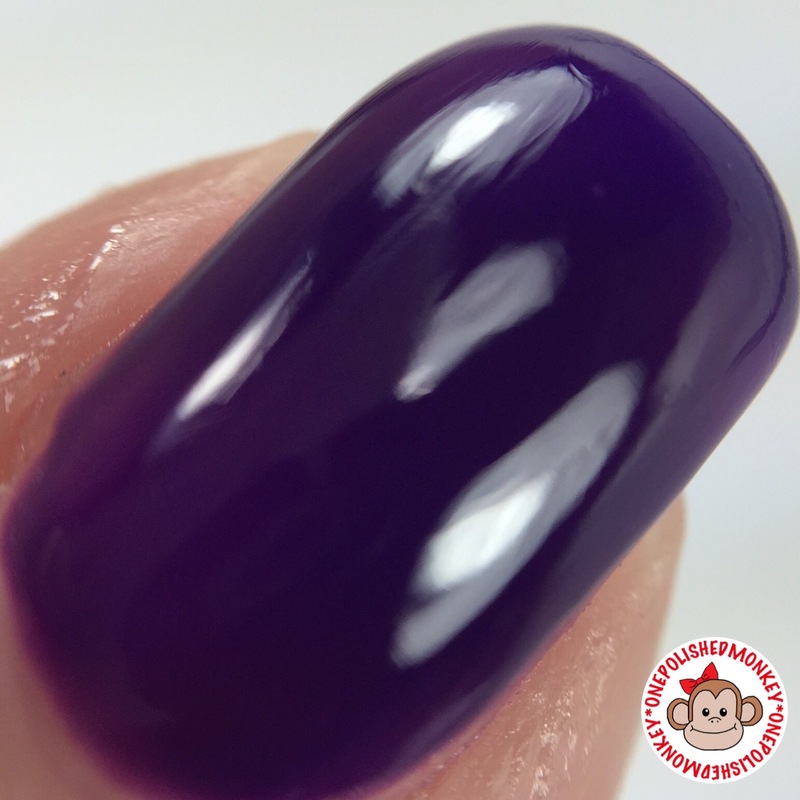 Pictures from 2009 show this as a light purple that some say took three coats to be opaque. 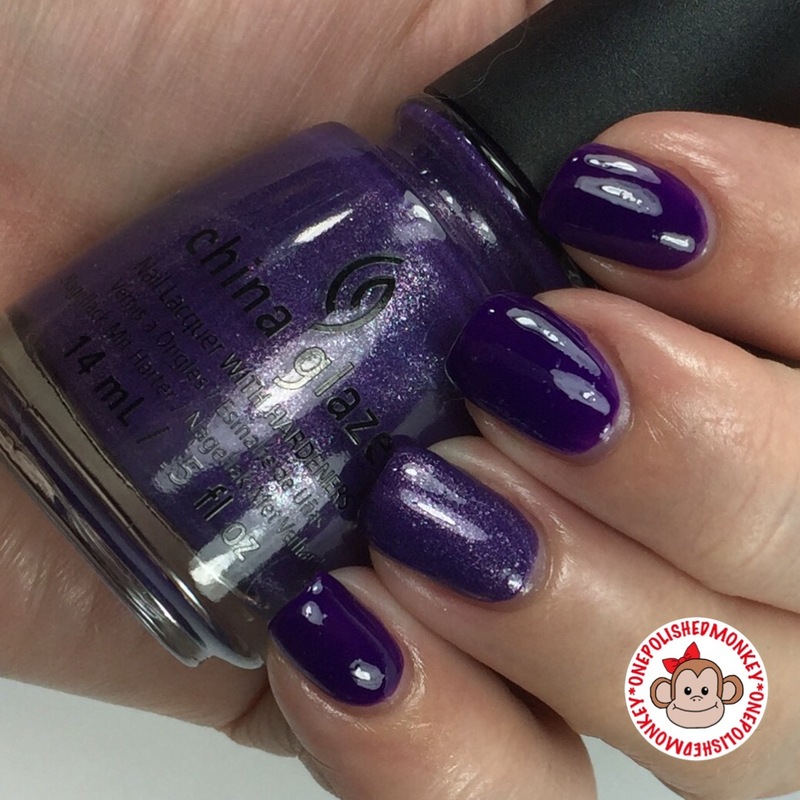 This polish is a dark purple polish and two solid coats to be opaque. Like with Creative Fantasy I don’t really remember when or why I picked this polish up. As for having anything similar in my collection? nothing comes to mind at this moment.